Gerry Gagnon has done a tremendous amount of work in research and posting, so I, Michele Tittler, put together a video of the images of his posts, to thank him. Some are my posts, but he has done the majority of the research and posts the last few years. We are doing live streams and talking more in the future, but the daily news feed and Feature Stories will continue. NORTH AMERICAN INDIANS ARE EARLY SIBERIAN SETTLERS. It’s now been proven by geneticists. No politics tonight people, music is for everyone. It’s a night to unite as proud Canadians, and say goodbye, and thank you to our national treasure, The Tragically Hip. It’s their last concert on the ‘Man Machine Poem Tour’, in Kingston Ontario, Canada, where they started in 1984. The CBC is broadcasting it and have links to various ways to listen to and watch the broadcast, from anywhere around the world. I have also posted it below. Live streams are happening all across the country in bars, restaurants & home parties. When will the media talk about native racism? This is the kind of huge racist abuse people get from natives who use being their race to attack others who are not their race, that the mainstream media refuses, absolutely refuses to cover honestly, while they cater to every complaint if it’s a native blaming Canada for it. To paraphrase, this man says “white” $%&^$# owe him money for his land, and have not paid one red penny since 1492, and it’s all their land, anyway. HAPPY CANADA DAY! This is the most sensational realism in all of mankind’s history, and if you were with me on the skytrain in Vancouver, hearing the sweet sound of laughter and hope from people of every race, creed and colour on the globe, who COUNT ON our freedom, democracy and inclusion, you’d feel what I feel for the extraordinary ability we have to do this. 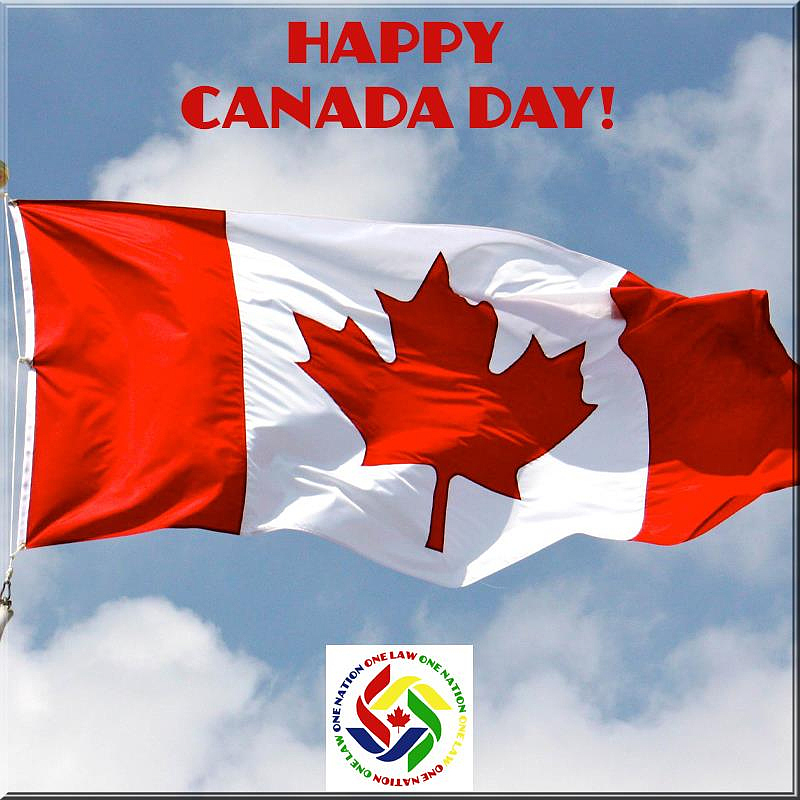 Everyone who comes here wants to share the dream of freedom, so let’s celebrate Canada Day by reminding our native friends we are all in this together, and to teach our new immigrants our contemporary way of life, and give them hope to dream of aspiring to our level of excellence in Canadian culture and society. I get a lot of attacks hurled at me, from people who think I am trying to make the natives look bad, so this is a post stepping up to the plate and putting myself in the same light, and same life lessons. I know more than the average person should about alcoholism, control issues, and the perpetual cycle of abuse. In a microcosm I grew up with so many of the issues I now talk about politically, because the anchor this race blame game depends upon is based on controlling everyone with a set agenda of manipulative brainwashing dialogue, something I had as a child, that I was left on my own to figure out. It was ingrained in us to be “ashamed” of things no one should be ashamed of, and it took a long time to break free from it. Shame is a powerful tool and it’s being used on Canadians who are not the same race as natives, the same way it was in my family growing up. Some fell for it and became that, too, but I learned how to repel the subversive abuse and control tactics of “shame”, because I did the work and learned it was a tactic to stun and subdue a person, in order to control them. I do not let anyone make me feel ashamed for the things I know are more important than being popular, or liked. I feel proud that I can’t be swayed by abuse and bullying, even though it did damage. I earned being able to talk about these issues, and it took decades to learn it. I can honestly say I am not a sheep because of the abuse I endured and the skills I learned from it all. It’s been a challenging line for me to walk, to know what “shame” does to debilitate the human spirit, and yet I know I have also “shamed” so many of the people who used their race to come attack, abuse, bully, and even give death threats, in order to silence me, all of us, really. That’s a hard one on me, because I do try to be fair, and I don’t want to shame people, really, but how do I get them to listen and stop abusing and shaming us, for things none of us even did? SHAMING A PHANTOM ENEMY, THEY HAVE NO ONE PERSON OR NAME….IT’S JUST EVERYONE WHO IS NOT THEIR RACE. It’s not fair, it’s abusive, and it’s very “inherently” racist. I can take the bullying I get in this issue, because I was raised with threats, bullying and abuse. That’s what created the “bully’s bully” in me over time. I had to toe-the-line for controlling alcoholics who could and often did flip my world upside down at any given control freak mood, so I have a great amount of sympathy, and a sense of protection, towards the grassroots aboriginals who go through this on the reserves. Money was the weapon used to control in our family, like it is on the reserves all too often, and I really, really know what that’s like, to be stuck and not able to escape the Chief who won’t help you if you don’t stroke his ego or play the game. Trying to leave, or bring change, awareness or better ideas to the chaos, only results in being ostracized, cut off of funding, and more shaming. I had to navigate through so much, and it took me down a few times, and it broke me. I struggled with substance abuse, and not knowing how to unravel the complexity of these issues. How do you get out, when no one else will come with you? How do you stand alone, no matter who is trying to drag you back down into the abuse? Everything I am here sharing, to try as hard as I can to bring a new conversation and a new dialogue, is all stuff I had to learn by life challenging me. I am rough around the edges because it hurt me and I got damaged and tough, but I also got tons of therapy and really believe in taking accountability for how we feel. 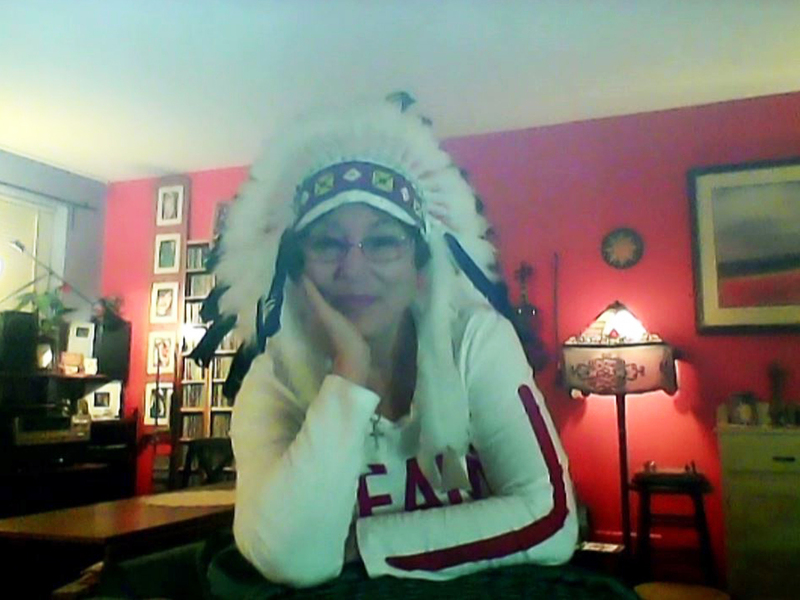 During my mother’s death recently, I was tested again by the forces I grew up with, but I won’t go backwards into the cycle of abuse, so when I encourage the natives to do this, I am doing it too. It’s super hard, and it takes real work, but there is so much information, help and resources out there, and Lord knows the natives get more resources than anyone else, so my challenge to CHANGE THE DIALOGUE, CHANGE YOUR LIFE, is how I survived. I really do challenge all who use their race to blame others in Canada, and everyone for that matter, to do the work, own your stuff, and learn what the cycle of abuse is, and how to get out of it. Google it, the information is everywhere. “Co-dependent No More” is a perennial best seller in the self help category, it was my first voyage into learning about my own contributions to my life and abuse issues. I do not want to shame and I do not want to see anyone behave shamefully, so in this conversation, whether you are for race laws, or against them, no matter what race you are, the main reason my banned list is so long, is because I shut down abuse. For the natives on Twitter who hounded me recently, and everyone else who asked me why I ban, that is the reason. I am shutting down the cycle of abuse, not allowing the perpetual broken record of self inflicted dialogue that is a shaming spirit breaker. No one on this page is going to abuse anyone, and that includes the natives. We do not allow anyone to cross that line. This is a political issue about race laws, but it’s mired in the game of shame and guilt, and so we have to talk about the human side of how this race bullying has worked….shame. Break the cycle of abuse from all sides. The natives need to stop shaming others, and others can’t shame them. They need to regain their dignity and no amount of blaming & shaming others who are not their race, will accomplish that task. I said from the start that this was about being brave enough to start a new conversation, where we ask the aboriginals to work on their racism and abuse issues and see what their race agendas are doing to hurt themselves, and others. It’s lose/lose with shame based thinking, no one gets out and no one gets better. CHANGE THE DIALOGUE, CHANGE YOUR LIFE. I do not feel guilty or ashamed for wanting equal laws. I spent years and years enduring shame and abuse, to learn how to say that, and mean it. I do not feel guilty for being alive here, and the natives have to stop trying to implant that abusive idea, that invalidation, and that racist shame into our national psyche. I deal with the abuse in my family and my family members, the exact same way, and I am never embarrassed to go get help when I need some balance and wisdom, or when I am the abuser and I need to regroup. We spend all our time, energy & funds on this project. We need your support, and greatly appreciate it.